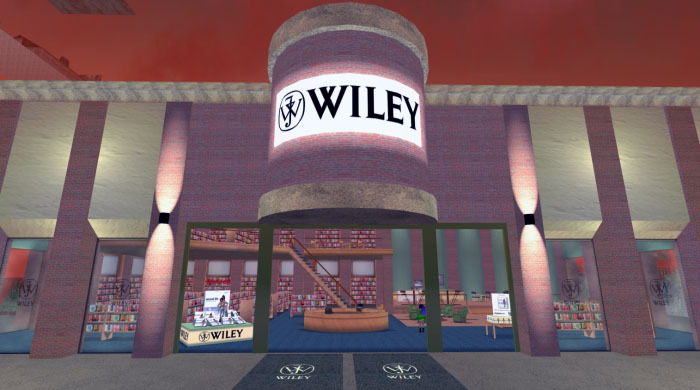 Wiley Books, a leading publisher for the scientific, technical, and medical communities worldwide, looked to Aimee Weber Studio to create their Second Life presence to promote the Second Life Official Guide. 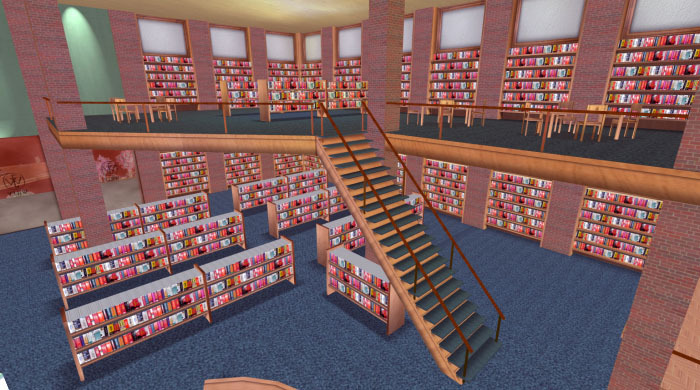 The building is reminiscent of modern day book stores along with a mezzanine study area, coffee shop, and book kiosks. 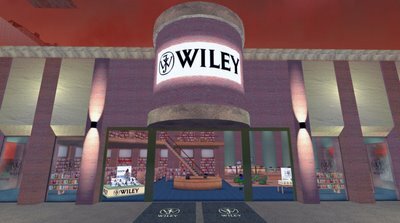 Incidentally, Aimee Weber has since completed as lead author another project with Wiley Books, Creating Your World: The Official Guide to Advanced Content Creation for Second Life published by Wiley Books and due out in stores by October 2007.